OK, I swear, this is my last I LOVE FALL post!! If you have been following along with me the whole time you know that fall is my favorite season. Today is all my favorite fall decorations under $10! I love to decorate my house for each season and holiday, but I don't like to spend a lot of money, so I do a pretty good job of getting into the seasons without breaking the bank! I LOVE, love, love the dollar bins at Target! That is where I have bought a bunch of my fall decor. The rest have been random pick ups at different stores. I also have two DIY decor projects at the end of the post! This little set up that I put on top of our heater comes in at just under $10. I got the pumpkins and SPOOKY sign at Target, $3 each. The white pumpkins are from Trader Joe's for $.69 each. I was thinking about painting on the pumpkins but haven't thought of anything that I want to try yet! Here is a view of my entertainment center shelves. None of the items on any of the shelves cost more than $10. The most expensive item is my glass owl that I got at Home Depot for $6.99. The "Happy Halloween" sign is from Target, $2. My wooden "trick or treat" sign that was $2 at Target. For $4.50, I was able to give the bathroom a fall makeover! In the kitchen, I am big on fresh things for decor, fresh flowers and pumpkins are a large part of the decor with a few things mixed in. Trader Joe's had bouquets of fall flowers for $3.99. I made two arrangements with one bouquet! Candles are always fun, I got this holder at rite aid for $1.99. I got this super cute ghost at a church yard sale for $1. This summer we made this at the pottery place which was $12 and a little of our own creativity! This will be the only over $10 item I will show, but it is so cute and so special I couldn't resist! Now my picture ledges. Love my ledges! It holds a ton of pictures of the people I love and also is a great place for decorations! From the first shelve, subway art FREE! I printed here and put in a frame that I already had! I have a few glittery wooden pumpkins on the shelves which I got at JoAnn Fabrics for $3 or less depending on the size. I have another on the shelves in my office space (shown below). And of course my little owl that I got at Michael's for $1.99! Not sure if you can tell, but I clearly have a thing for owl decorations! I don't know why, but I think they are adorable! Now for my two DIY projects! I made the BOO from my picture ledges myself! I bought the letters at Joann fabrics for $1.50. Used black and orange paint, that I already had, to paint them. Finally, glued a glitter spider that I got in a package of 6 for $2.88 at Walmart, to the orange O. Total $2.18! I have two floor vases that I change out for each season and holiday. Check out the Halloween set up! It was so simple to make! I hot glued candy corns on the sticks to make my "tree." I then tied a white string to one of the branches and hot glued a spider to the string to have it hanging from the branch. I hot glued one spider to another branch and one to the smaller vase. The smaller vase is filled with the rest of the candy corns and different sized and textured pumpkins. I made this decoration for $3.94 since I didn't have to buy many supplies, but even if you had to buy all the supplies you could still do each vase for $10 or under! That's it! That is all my fall décor! I hope you enjoyed seeing how I decorate my home on a budget! Linking up today with Momfessionals and A Little Bit of Everything! Cute. I love how you have pops of fall/Halloween decor everywhere. It's super cute, especially all the owl decor. I too am obsessed with owls recently and have a bunch included in my fall/Halloween decor as well!! 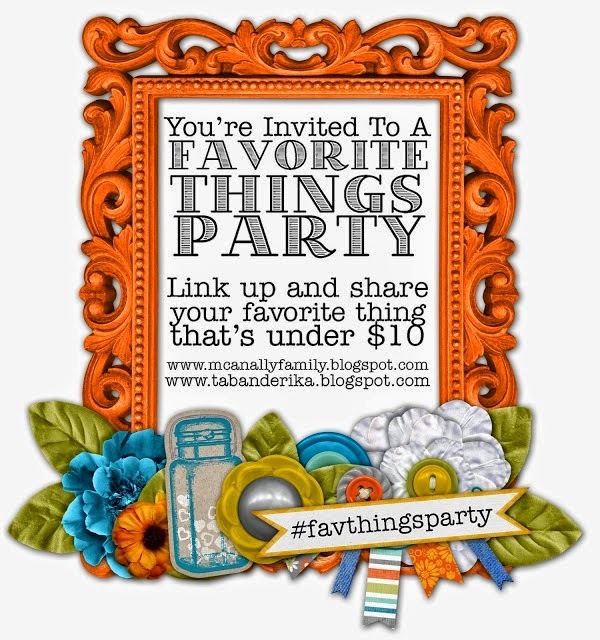 Stopping by from the Favorite Things Party!! Thanks! I am hoping to find some Christmas owls too so that I can keep the theme going :) Thanks for stopping by! Hey .... I love your decorations. Thanks for sharing so many great ideas. The photo shelves are awesome. The boo sign and turkey tile are adorable. And lastly, what a nice entertainment center....that would be so fun to deorate for each holiday. Courtney in MI ...stopping by from Momfessionals blog. Thanks, Courtney! This is my first full season with the entertainment center so I was so looking forward to decorating! Christmas will be fun too! Thanks for stopping by! i LOVE that candy corn tree!!! so creative! linking up from the momfessionals party!